Watch Lettuce’s LOCKN’ Set for Free! Let us rage! LOCKN’ 2016 may be over, but the fun never has to end. 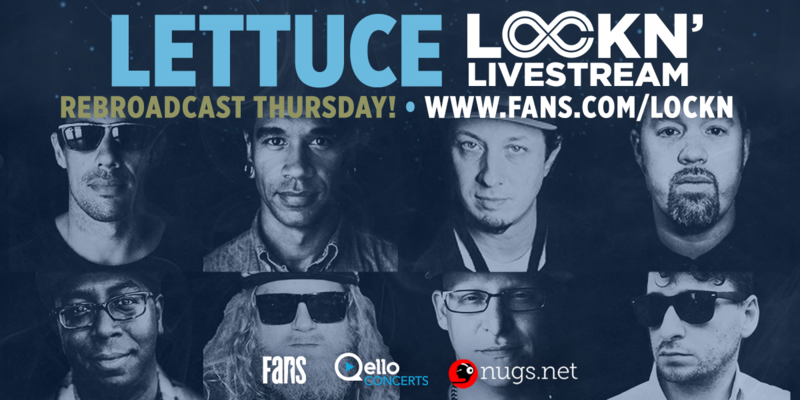 We’re excited to announce that due to popular demand, we’ll be rebroadcasting Lettuce’s late-night set from Saturday night at LOCKN’ on Thursday, September 1, for free! The rebroadcast can be found on FANS.com, Qello Concerts, or nugs.tv and will start at 9PM EDT. For more information on how and where to stream this set, please visit HERE. The show can be streamed from any device with internet access, so tune in, tune out, and get down with us! We’ll virtually see you there, tomorrow night!